Coffee and the Great Outdoors are two wonderful things. Combine them together and you get something truly magical. For that reason, we were beyond excited when Benny from Swedish based nano roastery, Conifer Coffee contacted us recently about creating our own collaborative blend. Thus, the 'Woodland Blend' was born and is now available in our store - we couldn't be happier with the results and have ben enjoying brewing many a cup over the campfire both on our workshops and at home. We asked Benny to answer a few questions about life, coffee and why nature is important to him (we took his advice straight away and headed into the woods to make a perfect cup of coffee). We hope you'll enjoy reading his answers here. Thank you, Benny! Can you introduce yourself and tell us where you live and what you do? My name is Benny, I'm 38 years old and I live in Gothenburg, Sweden. First and foremost, I'm a proud father of two wonderful daughters, 4 and 8 years old. We live in the outskirts of Gothenburg, literally where the city meets the forest. This being Sweden, the "forest" really is the endless woods stretching all the way up to the Arctic and beyond. And it starts right here in my own backyard with 40 metres high pine trees hovering over our little house. I love it! So anyway, I run a nano roastery called Conifer Coffee. It's a small business, really just a hobby. I don't have any background in the coffee industry, so I'm learning as I go along. That means things take time, but that's alright. It's all a journey and I like learning new stuff everyday. I also have a dayjob, working in market research. Why coffee and why ‘Conifer’? This whole project was born out of my fascination with coffee. I love coffee. The taste and smell of it early in the morning or late in the afternoon or anytime really. But I'm also fascinated by what coffee as a concept is to our society, how it functions as some sort of medium to bring people together, get conversations going, energising people with creativity etc. And of course, I'm deeply concerned about the way "conventional" coffee is being produced, causing so much harm in the coffee producing countries by forcing growers to live in poverty. With coffee, even a small actor like me can really make a concrete difference to the well being of the people growing the coffee by paying them fair and decent prices for their good coffee beans. The name 'Conifer' comes from my love of those tall trees in my backyard, and what they symbolise in terms of sustainability, slow growth and honesty. Conifers take their time, they grow slowly, in harmony with the environment around them, and they live for thousands of years. There is a spruce a bit up in the mountains of Sweden to our north called Old Tjikko that is currently 9 560 years old. Nearly 10 000 years! That's sustainability! You’re originally from Denmark - what made you make the move to Sweden? Denmark is a nice country, but there is almost no wild nature. Since I was a child I've always loved nature and especially the sense of wilderness, of untamed nature going about its own business. When I got 20 I started travelling around a bit and lived for short times in Spain and France, and eventually I ended up in Sweden 2 years later, went to the university, met a girl, got married, got children, and yes, I love it here! How important is nature in your daily life and work? I would say it really means everything. To quote Gary Snyder, "nature is not a place to visit. It's home", and I'm a firm believer in that. One of my favourite activities (besides playing with my children and roasting coffee...) is to just take long slow walks in the forest outside my door, going nowhere in particular but just getting into a rhythm and sensing how my mind slows down and starts opening itself up to whatever is going on around me. I feel it cleanses my mind, and that's where I think the best. I guess you could call it walking meditation or something like that. 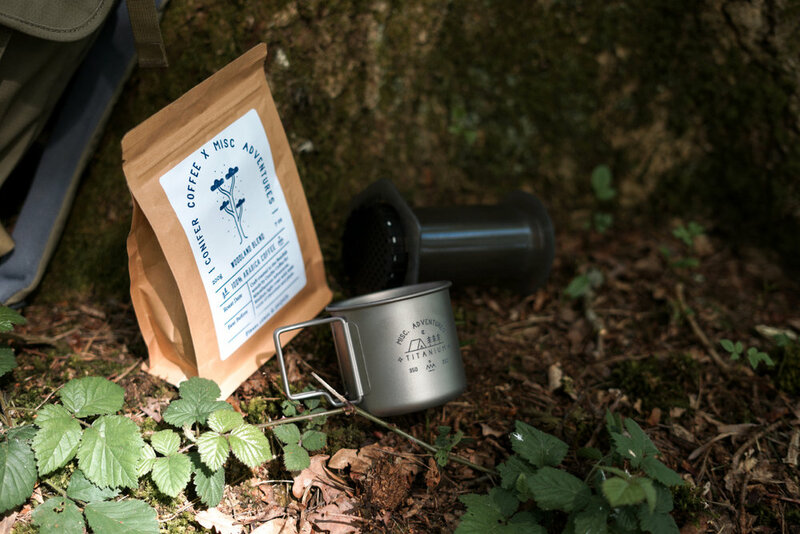 We’ve collaborated on the ‘Woodland Blend’, what’s your favourite method to make coffee in the woods? I'm so happy for the Woodland Blend. I think it's a great coffee to take out with you out there. My all time favourite involves, first of all, a camp fire. I love camp fires! 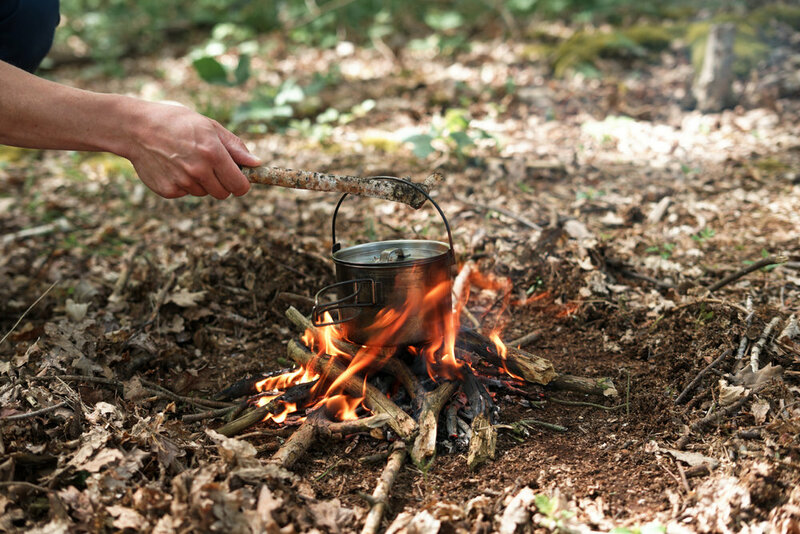 And so, having a good fire going to boil water in an old kettle is my first step. Once boiled, I let the water cool down for a minute or two, just off the boil (because boiling water kills a lot of taste whereas 96 degree Celsius is perfect. 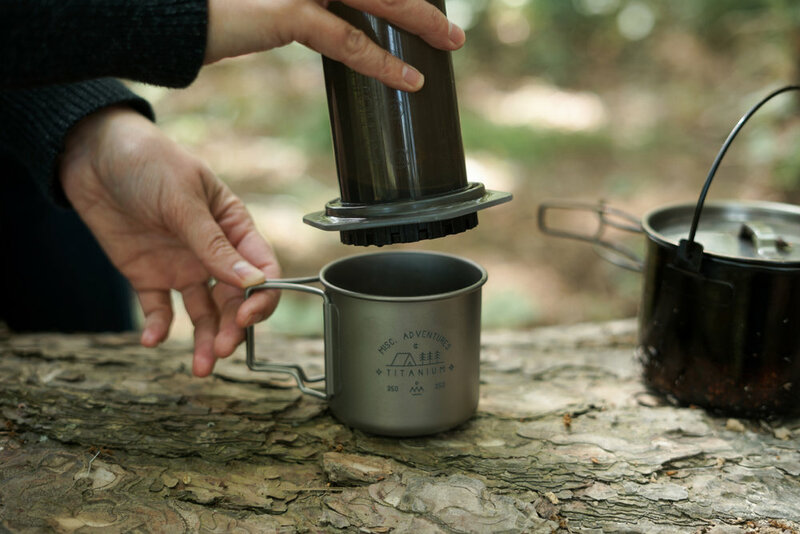 So just off the boil works for me) and then I prefer brewing in an AeroPress because it gives a clean, honest taste of the coffee and it's easy to throw into a backpack. And then drinking from a hand carved wooden mug feels just right out under the pine trees. I know some coffee lovers prefer having their coffee inside a taste lab to really get into all the finer taste notes, but to me, outside, with the smell of coffee blending with the smell of the camp fire and pine trees - that's the best coffee experience I can think of! The Woodland Blend is available to buy in the store here!